Posted on September 20, 2013 by Megan V.
10. Samantha Madison, the main character, always does a “Top 10 reasons” explanation every couple chapters, which explain Sam’s problems in a clear and easy to read way. 9.Smart people and fans of National Geographic would like Rebecca, Sam’s twelve year-old genius sister, who has watched every episode of National Geographic. 8. Fashion lovers would want more of Lucy, Sam’s popular seventeen year-old sister. 7. Art lovers would adore Sam’s art school, friends who enjoy art, and the art competition Sam has to judge. 6. Girls looking for a romantic comedy would laugh and enjoy the romance story between Sam and a very comical yet attractive boy named David. 5. Teenagers with sibling problems would understand the crazy problems that Sam has to deal with because of Lucy and Rebecca. 4. Fans of the band No Doubt and Gwen Stefani would be thrilled that Sam is a fellow fan, too. 3. Citizens of America who are fans of the White House would be dazzled by the little-seen places of the President’s home. HOUSE PLUMBING TO BLOW BY STUFFING ENTIRE DINNER DOWN TOILET. 1. Meg Cabot, the author, teaches a very important lesson that’s true for everyone. She teaches an important lesson that we should learn. Earlier, Sam always thought that it would great to be someone else, such as her favorite singer, Gwen Stefani, but she’s says in the end that “the number one reason I’m glad I’m not Gwen Stefani: 1. Because then I won’t be me” (Cabot 398). Boys should be warned that since the main character is a fifteen-year-old girl born between two more girls, Sam isn’t aware that boys might read her story and openly talks about girl stuff, such as a girl’s private areas. Also readers should not do everything Sam does because she’s in love with her sister’s boyfriend and doesn’t pay attention in German class. However, she proves that anybody can be a hero can be a hero, even a girl who mourns for the generation by wearing black and draws celebrity pictures in German class. 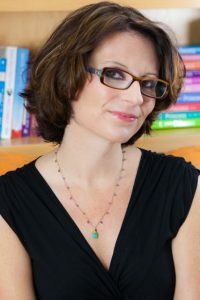 Meg Cabot is an author who writes specifically for adolescents, teenagers, and sometimes tweens. Being a #1 New York Times best selling author, her multiple series and works have accomplished numerous awards. Her method of writing truly inspires many teenagers across the nation. Some books of her that I specifically have enjoyed are: The Princess Diaries series, the Avalon High series, Jinx, the Underworld series, and the Airhead series. These books are truly fascinating, themed on regular teenage girls who go through different complications in their lives. 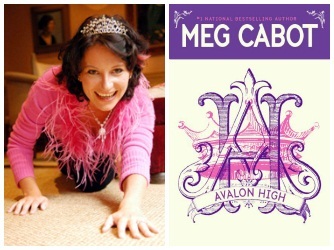 Avalon High, especially, is one of my all time favorites because of the techniques that Meg Cabot infuses into the series. She mixes history with modern day cultures, and makes a surprising twist. The series is based on the legend of King Arthur; this is a must-read! Also, particularly because I prefer the paranormal romance genre, the Underworld series is a marvelous collection. Truly, Meg Cabot is a wondrous author, and I am looking forward to her future works.